The neo-classical Egyptian Museum in Cairo's Tahrir Square was buzzing with people on Tuesday, as the Ministry of Antiquities celebrated the downtown landmark's 115th birthday. To the strains of classical music mixed with smooth ancient Egyptian beats, ministers, dignitaries, government officials, foreign ambassadors and cultural counsellors in Egypt, as well as MPs and media representatives, flocked to the museum to attend the event. More than 100 years ago the khedive Abbas Helmi II, watched by princes and high-ranking government officials, cut the ribbon at the museum's opening. This was Egypt's treasure house and a shrine to its past. Throughout that age and since emperors, empresses, kings and queens, presidents, scholars and thousands upon thousands of tourists have visited the Egyptian Museum and gazed in awe on the marvellous works of art which fill every niche and corner. As the country pays homage to all who shared in its construction, the Ministry of Antiquities in collaboration with civil society organisations and the parliament's Tourism Committee held a grand celebration this week. The highlight is a special exhibition in the museum's foyer displaying a collection of 86 artefacts that have never been put on show before. Sabah Abdel-Razek, director-general of the museum, said that the exhibition is divided into three sections. The first is a documentary exhibition showing the museum's original blueprints designed by French architect Marcel Durvein as well as photographs featuring Abbas Helmi II, Egypt's khedive at the time, placing the building's foundation stone in the presence of princes and high-ranking officials. Photographs showing the different stages of the building's construction, the pen used by Abbas Helmi II to write a few words in the museum's guest book, and a memorial stamp and coin from that time rounds off this part of the exhibition. The tools and instruments that were used in laying the museum's foundation stone in 1897 and those used in signing the khedival decree to construct the museum are also on show. They include the pickaxe, trowel, hammer and a wooden porringer embellished with silver decorative elements that were used for the opening, as well as the feather pen and inkwell used by the khedive. A collection of maps, celebratory medallions and black-and-white photographs of the foundation and construction of the museum are also among the objects on display. Two copper desk clocks decorated with foliage ornaments and angels that once decorated the desk of French archaeologist Gaston Maspero, the first director of the museum, are also on show. The second section of the exhibition shows a newly discovered Roman mummy with a painted funerary mask of the deceased. The mummy was uncovered in the Al-Banat Monastery in Fayoum during excavation work carried out by an Egyptian-Russian team. The mummy is in a good conservation condition, and the mask is decorated with scenes depicting the sky deity Kheibir, while the mummy's chest bears the face of the ancient Egyptian goddess Isis. The legs have an image of a white sabot painted on them. The third section of the exhibition displays a collection of newly recovered artefacts from the United Arab Emirates. Earlier this month, ruler of Sharjah Sheikh Sultan bin Mohamed Al-Qasimi returned to Egypt a collection of almost 400 artefacts that were stolen and illegally smuggled into Sharjah. Abdel-Razak told Al-Ahram Weekly that not all the objects were on display in the exhibition. They include five limestone stelae dedicated to ancient Egyptian deities, as well as a collection of sandstone, limestone and granite human statues from the Old, Middle and New Kingdoms and the Late Period. Ushabti figurines, amulets carved in faience, and bronze statuettes of deities are also on show. A part of a sphinx-shaped statue from the Late Period is also among the collection. During the event, Minister of Antiquities Khaled El-Enany launched the ministry's "My Museum in your Classroom" initiative that aims at providing a virtual tour of the museum to school pupils while they are in their classrooms. TO THE 21ST CENTURY: "The Egyptian Museum in Tahrir Square was the first building in the early 20th century to be built as a museum and not a palace converted into a museum as was more common during that time," El-Enany told the Weekly. He described the museum as "one of the greatest in the world, and its anniversary is a clear indication that it is a living museum, moving from 1902 to 2017 and into the future." He said that a development plan for the museum had been launched to define the future role of the museum within the local and international museum landscape, giving it the prominence it has long deserved. "The museum is not only one of Egypt's landmarks, but one of the country's most distinguished monuments as well," El-Enany said. He said the museum would not be closed after the completion of the Grand Egyptian Museum (GEM) on the Giza Plateau, as some have claimed, but would be developed and some of its artefacts put on special display. Others would be taken out of storerooms to be shown for the first time. Elham Salah, head of the Museums Sector at the ministry, told the Weekly that the Egyptian Museum housed a collection of 170,000 artefacts, only 40,000 of which are on display. "After the transportation of artefacts to the GEM and the National Museum of Egyptian Civilisation (NMEC) in Fustat, the museum in Tahir Square has the opportunity to excavate its store galleries and uncover distinguished objects to put on display," Salah said. She explained that the displays of the museum would be changed to suit the new collection. A new lighting system would be installed and a complete renovation would be carried out to give the museum back its original appearance. The walls will be repainted in their original colours and the ornaments renewed. The first phase of the revival project of the museum started in 2014 and was implemented in four halls in the east wing of the Tutankhamun Gallery and on the second floor. New facilities were provided, modifying the layout and aspect of the museum gardens from the original plans. Physical changes were also made to the museum building, and work now focuses on the building's first floor. Salah explained that among the collections that would be put on better display in the museum were those of the Tanis jewellery treasure of the 20th and 21st dynasties and the funerary collection of Tutankhamun's great-grandparents Yuya and Tuya. 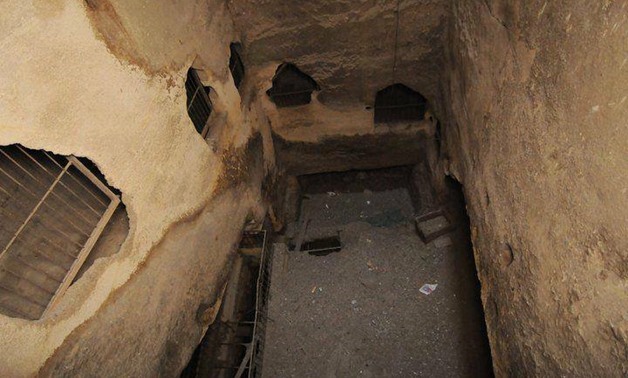 Some artefacts from the basement would be put on show, she said, among the most important being the sarcophagi of the Bab Al-Goses cachette discovered in 1891. This includes a collection of 150 sarcophagi with mummies of 21st-Dynasty priests with some of their funerary collections. The new displays would not only depend on putting artefacts in spacious areas within the building, since information boards would also be installed including details of where objects were found and the restoration work carried out. The order of the artefacts exhibited on the first floor would be changed to follow a chronological order from prehistoric times through to the Graeco-Roman period. The second floor will be dedicated to special subjects such as pottery, daily life objects and astrology. HISTORY OF THE MUSEUM: Before the establishment of the Egyptian Museum in Tahrir Square there were no museums in Egypt to house the country's treasured antiquities collections. Most archaeology in Egypt was under French control, and Egyptians had little or no influence over what became of ancient artefacts, which were freely exported all over the world. Decorated sarcophagi were favourite gifts in England and France, and some Egyptians contributed to the country's loss of its historical records by digging for hidden treasures and selling what they found to foreign collectors. In an effort to stop the plundering of the antiquities, in 1835 the khedive Mohamed Ali established the first Antiquities Service of Egypt, the "Service des Antiquités". He created a programme to exhibit and conserve ancient artefacts and asked Youssef Diya Effendi to propose a site for an Egyptian museum in the Azbakeya district of Cairo. Mohamed Ali asked the then minister of education to make a full report, documenting the country's archaeological sites and making sure that artefacts were sent to store rooms in Azbakeya. His death stalled progress on the programme. In 1848, the khedive Abbas I moved the artefacts to a hall in the Citadel. The Austrian duke Maximillian visited the collection and was so impressed by it that the khedive Said gave part of it to him as a gesture of good will. In 1855, he also ordered the police to be more vigilant in monitoring Egyptian antiquities being sold or exported abroad and appointed Auguste Mariette to direct the newly establish Egyptian Antiquities Service. Mariette's job was to preserve and protect Egypt's cultural heritage, and he was given a modest house in Boulaq, originally the premises of the River Navigation Company, as this was once one of Cairo's ports. This house later became the nucleus of the first museum of Egyptian antiquities in the country. Mariette stored the antiquities discovered during his own excavations in his house. It was not until 1863 that the khedive Ismail approved the construction of a museum of Egyptian antiquities in the city centre. But the project was postponed due to financial constraints, and Mariette was merely granted more space in front of his house in Boulaq to expand his "museum". The Boulaq Museum officially opened to the public in 1878, but a high Nile flood caused much damage in the area and many artefacts were destroyed. The museum was closed for renovation and repair until 1881, after which it was reopened. Mariette then passed away and was succeeded by Gaston Maspero, who was granted the jobs of director of the Boulaq Museum and head of the Department of Antiquities. The treasured collection in the Boulaq Museum had increased in size, and in 1890 it was transferred to the Ismail Pasha Palace in Giza, now the Giza Zoo. Later, upon his appointment as director of the museum and the Department of Antiquities, the scholar Jacques de Morgan reorganised the collections in the new institution, then known as the Giza Museum. Several accidents at the Boulaq and Giza museums resulted in much damage and the loss of invaluable artefacts, meaning that the construction of a new Egyptian Museum had become imperative. An announcement for a competition for the best architectural design was made, and in 1895 the prize went to the French architect Marcel Dourgnon. The cornerstone of the new Egyptian Museum was laid on 1 April 1897. On 15 November 1902, the Egyptian Museum was officially opened. Based on European architectural models, the museum is typical of large public and institutional buildings — libraries, theatres and city halls — built at the end of the 19th century and the beginning of the 20th century all over Europe and North America. Such buildings were mostly isolated, monumental, and designed in a classical style known as Beaux Arts, which was popular during this period. The Egyptian Museum was the first museum in Egypt to be designed with massive internal space to house large numbers of monuments. The development of the Egyptian Museum and its surroundings, according to the original plans, continued until the 1952 Revolution, when political instability, heavy bureaucracy, and a lack of systematic planning threatened the museum's position as the world's largest establishment dedicated to ancient Egyptian artefacts. LATER CHALLENGES: One of the challenges it has faced is the breakdown of the natural ventilation system and the high fluctuations of humidity due to the absence of a system for air control. Because of this, windows are often left open, especially in the summer, to get fresh air inside the museum, but this has caused damage to many artefacts. Missing window panes in the skylights on the roof also contributed to the deterioration of objects, in addition to the ease by which thieves could break into the museum, as shown during the 25 January Revolution. In other instances, inadequate protective measures have been used. For example, following Egypt's defeat in the 1976 Six-Day War with Israel, the government decided to build concrete covers on top of the skylights to protect the museum from potential air raids. This was done without taking into account the increased load on the roof. Another constant problem is construction being carried out in the vicinity of the museum, which has affected its structure. Vibrations caused by tunnel-boring during the construction of metro lines and from traffic passing nearby in Tahrir Square and over the 6 October Bridge have caused cracks in the museum's walls, as well as in some of the artefacts. The Egyptian Museum was managed by foreign directors until 1950, when Mahmoud Hamza became the first Egyptian director of the institution. By 1949, British military barracks to the southeast of the museum had been removed, creating a larger public space within the grounds. Five years later, in 1954 the Cairo Governorate took a large section of land west and south of the museum to construct the headquarters of the Arab League, a hotel and a building for the Cairo Municipality where in the early 1960s Egypt's then president Gamal Abdel-Nasser established the headquarters of the Arab Socialist Union. This was converted to the National Democratic Party in 1978 by Nasser's successor, president Anwar Al-Sadat. In the late 1970s, a number of transport, infrastructure and tourism development projects were established on the northern side of the Museum. The 6 October Bridge and a five-star hotel in Abdel-Moneim Riad Square were constructed without taking into consideration the development of the museum and its general layout. The old All Saints' Cathedral was demolished to make way for these works. The garden on the eastern side of the museum was reduced to broaden the adjacent thoroughfare. To the south, the gardens were removed and replaced by a bus station, which itself was demolished in the 1980s during the construction of the Tahrir metro station. Geoffrey Smith (left) and Brent Landau take a closer look at the Greek fragment identified as the First Apocalypse of James. The fragments--and rights to published images of them--are owned by the Egypt Exploration Society. Photo provided by Geoffrey Smith, UT Austin. AUSTIN, Texas — The first-known original Greek copy of a heretical Christian writing describing Jesus' secret teachings to his brother James has been discovered at Oxford University by biblical scholars at The University of Texas at Austin. "The text supplements the biblical account of Jesus' life and ministry by allowing us access to conversations that purportedly took place between Jesus and his brother, James — secret teachings that allowed James to be a good teacher after Jesus' death," Smith said. For more information, please contact: Rachel Griess, College of Liberal Arts, 512-471-2689. CAIRO – 30 November 2017: An Egyptian archaeological mission, formed by Ministry of Antiquities, is set to begin excavation work at Bir Youssef (Youssef Well), in Salah el-Din Citadel, in a few days, according to a press statement released by the ministry. According to Mostafa Waziri, secretary-general of the Egyptian Supreme Council of Antiquities, the main goal of the forthcoming excavation is to reveal new archaeological discoveries related to Salah el-Din Citadel. Constructed in 572, according to the Islamic calendar, by the first Sultan of the Ayyubid dynasty, Salah el-Din Yusuf ibn Ayyub, the well was built to provide the citadel with water during military sieges. Locally, Egyptians believed the well was named Youssef in reference to the well where prophet Youssef was found. While in actuality Youssef refers to Ayyoubi Kurdish Sultan Salah el-Din's real name. Many of the King Tut Treasures to be on display will be leaving Egypt for the first - - and last -- time. LOS ANGELES, CA — An exhibit billed as the largest traveling collection outside Egypt of artifacts from the tomb of Tutankhamun -- better known as King Tut -- will go on display in Los Angeles in March, beginning a 10- city tour to mark the approaching 100th anniversary of the tomb's discovery. The exhibition, titled "King Tut: Treasures of the Golden Pharaoh," will include more than 150 artifacts, far more expansive than past displays that have generally been limited to about 50 items. Organizers said the exhibit will feature items used and owned by the so-called "Boy King," such as golden jewelry, carvings, sculptures and ritual antiquities. About 40 percent of the artifacts will be leaving Egypt for the first - - and last -- time, with the items eventually returning to Egypt to be permanently displayed at the under-construction Grand Egyptian Museum. The exhibit will open March 24 at the California Science Center, where it will remain until January 2019, when it will move to Europe. "Its ornate artifacts and multimedia displays will stimulate interest in the many sciences related to archaeology," said Jeff Rudolph, president of the California Science Center. "Guests will also learn how the scientific analysis of his 3,000-year-old mummy revealed new information about his health and lineage, as well as how cutting-edge archeological tools are assisting in discovering tombs and analyzing existing ones in ways never before imagined." Why did the Museum of the Bible's scholars destroy ancient Egyptian artifacts? Christian apologists say they found New Testament fragments in mummy masks. It's a dubious claim. When Josh McDowell decided to purchase a 500-year-old Torah scroll in 2013, he wasn't seeking a collector's item. McDowell is a Christian apologist well known in evangelical circles, especially for his 1972 book Evidence That Demands a Verdict. In that book and many others, he lays out his defense of the historical accuracy of the Bible and the pristine transmission of the text from the time of its original writing down to the present. McDowell regards the reliability of textual transmission as a crucial part of defending the Bible itself as the source of authority. At speaking engagements around the world, McDowell brings his Torah scroll with him, holding it up, literally, as a witness to the accuracy and authenticity of the Bible's message. That today's text is identical to the text of a 16th-century scroll is evidence, for him, that God has provided for the perfect transmission of the biblical text across the centuries. "It helped me explain how scripture was truly reliable in ways I had never dreamed possible," McDowell wrote on his website. Candida R. Moss holds a chair in theology at the University of Birmingham and is coauthor (with Joel S. Baden) of Bible Nation: The United States of Hobby Lobby (Prince­ton University Press). Joel S. Baden is a professor of Hebrew Bible at Yale University and is coauthor (with Candida R. Moss) of Bible Nation: The United States of Hobby Lobby (Prince­ton University Press). Having seen how effective the Torah scroll was with his audience, McDowell hoped to acquire an ancient fragment of the New Testament—a scrap of papyrus containing a few words of the New Testament and dating from the centuries just after Jesus. "Displaying such an artifact to thousands upon thousands of young people and adults alike," he wrote, "would bring them face to face with the reality of the written truth about Christ and his life-transforming message." The older a biblical manuscript is, McDowell reasoned, the more trustworthy it is. Ancient manuscripts of the New Testament are hard to come by. Most are housed in libraries at places like Yale, Oxford, and the Vatican. Those that occasionally crop up on the open market are sold for extravagant prices by auction houses like Christie's or Sotheby's. McDowell needed a different avenue for acquiring one of his own, and he knew where to look: inside ancient Egyptian funerary masks, or mummy masks. Mummy masks conjure up for most people the image of King Tutankhamen's funeral mask, which is richly decorated with gold, glass, and precious stones. But funerary masks were produced for nonroyal Egyptians as well, albeit in considerably more mundane fashion. Typically, layers of linen or papyrus were cut into strips, moistened with water, and glued together in the form of a face—essentially the same process that is used to make papier-mâché masks today. The compressed substructure, called cartonnage, was then overlaid with plaster, and the face of the deceased painted on it. For the ancient Egyptians, the funeral mask was a way to ease the transition into the afterlife and ensure a positive reception by the gods. For modern scholars, these masks are a potential trove of information about the history and culture of Egypt 2,000 years ago. If the papyrus strips have writing on them, they can be an invaluable source for reconstructing daily life in the ancient world. Some discovered papyrus strips have contained fragments of marriage contracts, financial records, and, in a few rare cases, bits of poetry, epigrams, historical chronicles, or philosophical works. What was trash—or, more accurately, recycling—to the people who made the masks is treasure for scholars. The possibility of recovering ancient texts from the cartonnage of Egyptian mummy masks came to the attention of evangelical collectors and apologists like McDowell primarily through the work of Scott Carroll. Trained in ancient languages and history at the University of Miami, Carroll has made a career acting as an agent for individual collectors, most recently for the Green family, which owns the Hobby Lobby company, possesses one of the world's largest collections of biblical artifacts, and is the force behind the Museum of the Bible which opened in November in Washington, D.C.
A self-styled Indiana Jones figure—during one of our conversations with him, his cell phone rang with the theme music of the Indiana Jones films—Carroll travels the world identifying and purchasing ancient manuscripts. In the late 2000s, in the early days of his work on behalf of the Greens, Carroll acquired some mummy masks in the hope of finding priceless manuscripts inside. It was at an event associated with the Green family that McDowell first learned about Carroll and mummy masks. In 2011, Carroll gave students and faculty members in Baylor University's classics department a hands-on lesson in how these masks could be dissected. As the students worked through the papyri, they were duly astonished to find a Greek script from 2,000 years ago brought to light before their eyes. To make the demonstration more impressive, Carroll had brought along a selection of other texts that he claimed had been discovered in the same way, including a fragment of the New Testament, billed in the department's newsletter as "one of the very earliest New Testament copies known." As McDowell wrote after witnessing the show at Baylor, "If anyone could locate an ancient New Testament fragment for us, it was Scott Carroll." The Green family's traveling exhibit of their collection—which was created by Carroll—displayed a mummy mask alongside a manuscript of the biblical book of Samuel from the fourth or fifth century CE. The promotional website for the exhibit promised "an archaeological tent site revealing how biblical texts are recovered from ancient Egyptian mummy masks." At an annual Green-sponsored event for Christian students held in Oxford, scholars working for the Greens walked students through the process of recovering papyri from a mummy mask. In 2012, Dan Wallace, a scholar at Dallas Theological Seminary, announced that he had seen the earliest manuscript of the New Testament ever discovered—a fragment of the Gospel of Mark from the first century—within decades of the Gospel's composition, which is usually estimated at around 70 CE. Two years later, this account seemed to be confirmed by Craig Evans at Acadia Divinity College in Nova Scotia, who mentioned the find at the 2014 Apologetics Canada conference. Both scholars are affiliated with the Green family, and both claimed that they were limited by a nondisclosure agreement in what they could say about the text. In December 2013, McDowell held an invitation-only event called "Discover the Evidence" for Christian apologists and leaders, led by Carroll, at which two masks Carroll had acquired for McDowell were investigated. McDowell recalled that he had whispered under his breath, "Thank you, Lord!" when Carroll announced the discovery of biblical texts. The fact that these texts had been copied and recopied in antiquity, and that they had been preserved over the centuries, was seen by McDowell as a sign of divine intervention. "It seems clear that God's hand has been in all this," he wrote about the event. "God had previously granted us a Hebrew Torah. Now added to that were seven papyrus fragments which would powerfully reinforce to young people and adults around the world that God's Word is supernaturally inspired and absolutely reliable." In the expanded and updated version of Evidence That Demands a Verdict published in October of this year, he puts it more succinctly: "We believe that God has superintended the preservation of such an abundance of biblical manuscripts." In the early 1980s, scholars developed a new method for extracting the papyrus cartonnage from its overlaid plaster, a method that avoided damaging the painted surface. Although relatively easy and inexpensive, the process is time-consuming, taking about a week from start to finish. This may not seem long, but it doesn't allow for a one-day presentation of the sort led by McDowell and Carroll. For their purposes, a faster method was needed. They used an older method, developed in the 19th century. That process can be seen in a YouTube video, dated January 2012, and seemingly produced by or for the Green Scholars Initiative, the scholarly arm of the Green family's Bible collection. The video features Carroll leading a group—including McDowell—in the dismantling of a mummy mask. In a large sink full of warm soapy water, Carroll submerges and massages the mask, loosening the papyrus pieces so that they can be separated, dried, and examined for potential treasure. In the process, the funerary painting dissolves, leaving behind a soggy lump of plaster. For those hunting only for early Christian manuscripts, the destruction of the mask is an easy trade-off. A tiny scrap of the New Testament is more precious than any mummy mask. Evans, the scholar at Acadia, said the masks being destroyed this way are "not museum-quality." But that judgment depends on what kind of museum one is talking about. The question also depends on the type of value one means: financial value and cultural value are not the same. It is certainly hard to imagine that in a non-Christian culture a one-square-inch piece of papyrus with a couple of Greek letters on it would be considered "museum-quality." It also matters who is evaluating the museum-worthiness of the masks. Early Christian papyri are obviously valuable in the Christian West; it is not clear that they would be as valuable in Egypt, say, or more valuable than an intact mask. The quality of the mask destroyed in the process seems not to have been a consideration for Carroll and colleagues. On Facebook in 2012, Carroll posted: "Encountered a room literally filled with mummy masks, lined on the inside with papyri containing lost texts, and the outside of the masks were covered with imperishable gold—what's on the inside is much more precious than what's on the outside." For Carroll, the masks are mere containers and are therefore disposable. That they are religious artifacts in their own right, used in ancient sacred rites of burial—these are literally the faces of the dead, commissioned by their loved ones to transport them to the afterlife—is ignored. In the scholarly world, the soap-and-water method of dissolving mummy masks is no longer used. "Even if practiced occasionally, particularly in scholarly collections even into the 1960s," writes classical papyrologist Jaakko Frösén in a 2009 essay about the conservation of papyrus, "this method has been abandoned for obvious reasons as unethical." There was a minor stir in scholarly circles a few years ago when Carroll, at the time employed by the Greens, posted to Facebook his plans for a Saturday afternoon: "More mummy masks filled with ancient texts used in their construction are coming in. . . . I think I'll dissolve them on the new stove to extract the papyri while I watch college football!" Carroll is aware of the ethical issues involved. In the YouTube video he explains that some people are uncomfortable with the total destruction of masks. Defending the choice to destroy the mask rather than attempt to preserve it, Carroll appeals to an oft-repeated argument, drawing an analogy with traditional archaeology. Excavation is an inherently destructive process in which one layer of earth and artifacts must be removed in order to access the one beneath it. Researchers can photograph and document the materials, but they have little compunction about moving on to the next layer down. The comparison fails, however, because there are, in fact, methods for removing the papyri while still preserving the mask—methods that Carroll acknowledges in the video. At the heart of the mummy mask project is a deep belief in the divine protection of the text of the Chris­tian scriptures and in their inerrant transmission across the millennia. "You can open up the Bible and be pretty confident to say, 'Thus sayeth the Lord,'" McDowell tells his audiences. But those audiences are being misled about the meaning of the fragments and about their relevance to claims for inerrant transmission. Scholars who study the history of the biblical text know that we don't possess the original copies (sometimes called "the autographs") of the Gospels, Paul's letters, or other canonical texts, and that the original version of the New Testament is fundamentally unrecoverable. The diversity of the versions that we have of these texts is such that scholars regularly identify different families and types of texts. While the agnostic scholar Bart Ehrman is being sensationalistic when he says there are more mistakes in the extant manuscripts of the New Testament than there are words in them, it is not true, as Steve Green claims, that the only textual discrepancies are spelling errors. Some important and even famous biblical passages have a controverted textual history: the last 12 verses of the Gospel of Mark appear to have been added to the original text some time in the second century; the story of the woman taken in adultery found in the Gospel of John, containing the famous words "He who is without sin among you, let him first cast a stone," appears first in the textual record in a fifth-century document; and the sole explicit New Testament reference to the Trinity, in the First Epistle of John, hasn't been found in any manuscripts written before the ninth century. Displaying an individual New Testament manuscript that is identical with a modern Bible does not offer any general evidence about the reliability of textual transmission. Even more illusory is the notion that ancient pieces of the New Testament can be found in mummy masks. This is an illusion for a simple reason: the Egyptian practice of using recycled papyrus in mummy masks ended before the Christian era began. Eygpt was a part of the Roman Empire, and the use of cartonnage in mummy masks continued through the seventh century CE. But every scholar we have spoken to, including the world-renowned papyrologist Roger Bagnall of New York University, affirms that there are no examples of cartonnage that uses recycled papyrus after the reign of the Roman emperor Augustus, which ended in 14 CE. After that point, mummy masks were backed with linen or other fibers. Given that the date of Jesus' death is typically located somewhere between 30 and 33 CE—well after the reign of Augustus—it would seem that there is simply no possibility that a mummy mask could contain any Christian writing whatsoever, for there was no Christianity when these masks were produced. The fragment touted by Carroll and others as part of a first-century version of the Gospel of Mark remains unpublished. Only a handful of people have claimed to have seen it, and many in the scholarly world doubt that it exists, though Green declares that he had authorized its purchase. The claim that it was discovered in a mummy mask has since been walked back. And while until recently the Museum of the Bible's website still referred to the potential for discovering biblical texts in mummy masks, current and recent employees have told us that the practice of purchasing and dismantling these artifacts is no longer part of the museum's practice. What, then, of McDowell's remarkable discoveries? In a fundraising document written in the wake of the Discover the Evidence event, McDowell describes how Carroll had extracted papyri from the cartonnage and found seven biblical texts. McDowell even provides images of the fragments: they are from fourth-century manuscripts of Matthew, Mark, John, and Galatians, and a fifth-century text of Jeremiah. What he does not make clear, however, is that none of these fragments actually came from the two mummy masks that Carroll dissolved that day. They came, rather, from cartonnage used in book bindings from centuries later. (It is not even clear that these texts are what Carroll and McDowell purport them to be. A specialist in papyrology has questioned both the dates assigned to the manuscripts and their identification.) What did come out of McDowell's mummy masks was exactly what one would ex­pect from Ptolemaic Egypt: economic texts, letters, and burial documents. Carroll told us, "I can only say I know what I've seen." No one else has seen the materials, though. And to date, not a single Christian text has been published, formally or informally, that has come from a mummy mask. McDowell is playing to—and banking on—the desire of Christians to have their faith confirmed. But in encouraging them to think that proof of the Bible's authenticity can be found within an ancient Egyptian mummy mask, he is misleading them. Instead of giving a scholarly presentation, he is providing a form of theater: an act of fraudulent colonialist archaeology offering inaccurate "evidence." This kind of fake news does Christian faith no service. A version of this article appears in the December 6 print edition under the title "Mummy mask theater." 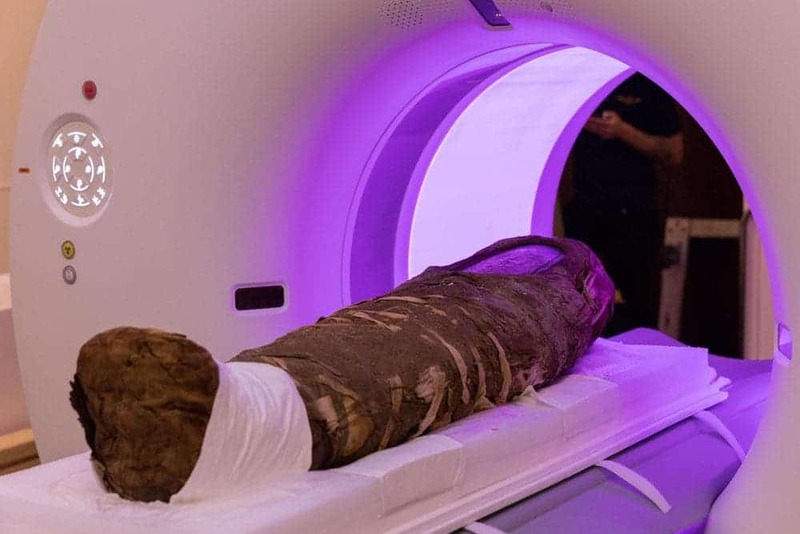 Scientists at Northwestern University have used a high-energy particle accelerator for the first time to peer inside a mummy. The Egyptian mummy belongs to a girl that was five years old at the time of her death, about 1,900 years ago in Egypt. The analysis revealed unique details about the girl and burial process, such the quality of her bones and what items were placed inside her remains, without causing any damage to the mummy itself. Scientists used Argonne's Advanced Photon Source to peer inside an ancient Egyptian-Roman mummy without damaging it. Credit: Northwestern University. The team carefully moved the mummy from the Garrett-Evangelical Theological Seminary on Northwestern's Evanston campus to Argonne National Laboratory, which houses the brightest source of X-ray in the Western hemisphere — the extremely brilliant high-energy synchrotron at Argonne's Advanced Photon Source. It was the first study of its kind performed on a human mummy. Typically, this instrument is used for physics experiments, but the same method can be used to peer through organic material without deteriorating samples. The pencil-shaped X-ray beam — which is has twice the diameter of a human hair — was shined on areas of high density in the mummy, producing X-ray diffraction patterns. Researchers used these 'fingerprints' to identify crystalline materials inside the mummy. For instance, they found wires in the mummy's teeth and a small, mysterious object wrapped to the stomach, which looks like a stone. Inside the skull, ancient embalmers seem to have placed shards of an object likely made of tar after the brain was removed. "This is a unique experiment, a 3-D puzzle," said Stuart Stock, Northwestern University Feinberg School of Medicine. "We have confirmed that the shards in the brain cavity are likely solidified pitch, not a crystalline material." About three feet long, the little Egyptian girl's body is swaddled in linen with the outermost wrappings arranged in an intricate, ornate geometric pattern. The overlapping rhomboid linen serves to frame a portrait of the girl painted in the Roman-Egyptian style. 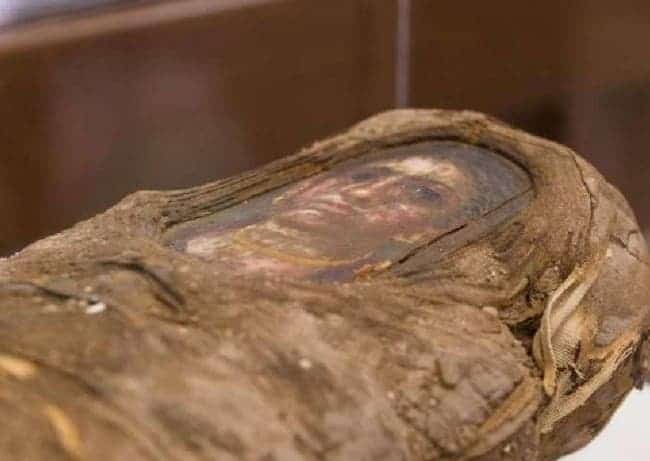 She is just one of only 100 such portrait mummies found in the world. These are significantly different from the more familiar Egyptian mummies, which usually features three-dimensional, sculpture-style faces. "Intact portrait mummies are exceedingly rare, and to have one here on campus was revelatory for the class and exhibition," said Marc Walton, a research professor of materials science and engineering at Northwestern's McCormick School of Engineering. "This is a once-in-a-lifetime opportunity for our undergraduate students — and for me — to work at understanding the whole object that is this girl mummy," Walton said. "Today's powerful analytical tools allow us to nondestructively do the archaeology scientists couldn't do 100 years ago." The study allowed the team to create a 3-D map of the mummy's structure, helping them confirm the girl was 5 years old, give or take nine months, at the time of embalming. By knowing more about how she died and how she was prepared after death, scholars can now paint a more accurate picture of how this rare technique panned out thousands of years ago. Some of the findings could have never been possible were it not for pioneering work at the intersection of various fields of study and with the help of cutting-edge technology. WASHINGTON (The Borowitz Report)—Donald J. Trump's use of the name "Pocahontas" at a White House event honoring Navajo veterans was not a racial slur, a prominent white expert said on Monday. "If some Native Americans were offended by the use of this term, I'm sorry that they're so wrong," the expert said. "As a white person, I think I'm in a better position to know about this stuff." She also defended the decision to honor the Navajo veterans near a portrait of Andrew Jackson, who is widely reviled by Native Americans. 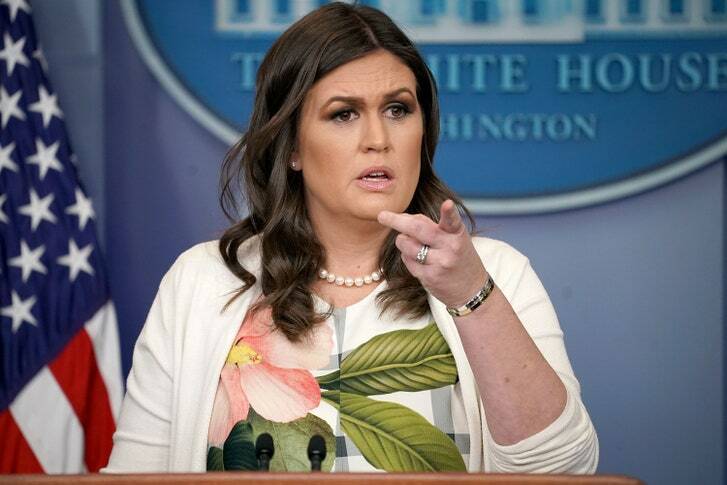 "Before we held the ceremony, we consulted with a number of other white experts, and we all agreed that Andrew Jackson was great," she said. At times, the white expert seemed exasperated at having to explain to Native Americans what was a racial slur and what was not. "Look, I can explain it to them, but it's real time-consuming, and I have a lot of other stuff to do," she said. In closing, the Caucasian said that accusing Trump of intentionally offending the Navajos was absurd. "No one knows more about offending people than Donald Trump," she said. Andy Borowitz is the New York Times best-selling author of "The 50 Funniest American Writers," and a comedian who has written for The New Yorker since 1998. He writes the Borowitz Report, a satirical column on the news, for newyorker.com. The crown fragment is quite a significant little find. One of the characteristics of ancient Akhetaten was that cult images of the royal family – statues and stelae – were set up in houses for citizens to worship. Most of these images are known from larger houses of the elite, and it has been thought that the practice had fairly limited social reach. The discovery of a royal statue in such a modest housing area raises the possibility that engagement with the royal cult was sometimes more than just an elite concern. The Brooklyn statue was also found in a reasonably small house, not too far away. We can wonder how many more statuettes might have been overlooked during the early excavations if their state of preservation was closer to our small battered crown than the Brooklyn piece. And how did the crown end up in this condition – was it deliberately smashed to erase the memory of Akhenaten's reign, or a victim of incidental damage? In other cases, the finds offered a less immediately penetrable back-story. Many were the byproducts of manufacturing processes or items such as stone tools used in these activities. Often it took weeks of poring over them, laying everything out side-by-side in the dig house, recording each piece individually, but jointly thinking about it as part of a broader assemblage. One outcome of this process was recognition that the houses were full of byproducts from the working of faience. In particular, there was a large collection, potentially some 1000 pieces, of off-cuts from the shaping of blue faience tiles. Tiles of this kind were probably used to decorate architecture and perhaps furnishings. It is difficult to imagine that they would have been used in these small houses, and more likely that their destination was the city's temples and palaces, and perhaps houses of officials too. They offer a glimpse of Amarna's suburban economy, and support a long-standing theory that people who lived in such small houses survived by providing goods and services to officials who acted as middle-men for the state, distributing grain and other provisions in return. Much more work is now needed to find out how widely this model holds in other areas of the city. The process of pondering the artefact record wasn't confined to the dig house alone. During the excavations themselves, there were also connections to be made between objects, the site and its stratigraphy. One particularly distinctive deposit resembled spoil from our own excavation sieves, rich in gravel and small stones too large to pass through the mesh. But it was also full of little artefacts. It remains something of a puzzle, but looked very much as though someone in the past had sieved through the ancient deposits, looking for saleable goods, and discarding the small broken objects. All of this is crucial information in piecing together a site history, to help us understand what we are now missing, and what can and can't conclude from the archaeology that remains.